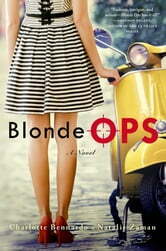 Expelled from yet another boarding school for hacking, sixteen-year-old Rebecca "Bec" Jackson is shipped off to Rome to intern for Parker Phillips, the editor-in-chief of one of the world's top fashion magazines. But when a mysterious accident lands Parker in a coma, former supermodel and notorious drama queen Candace Worthington takes the reins of the magazine. The First Lady is in Rome for a cover shoot, and all hands are on deck to make sure her visit goes smoothly. Can Bec catch the person who's after the First Lady, solve the mystery of Parker's accident, and juggle two cute boys at the same time? 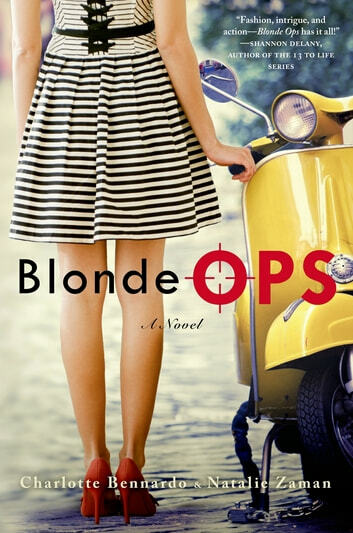 Blonde Ops is a fun, action-packed romp through the hallways of a fashion magazine and the cobblestone streets of Rome by Charlotte Bennardo and Natalie Zaman.